Paul Toepfer Photography - Paul Toepfer specializing in Professional Wedding Photography, High School Senior, and Family Photography in the Madison WI area. Contact me here with any questions or for my availability. 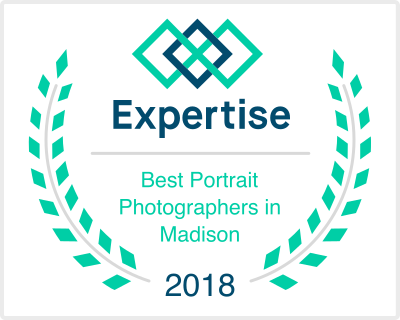 Paul Toepfer Photography is located in Verona five minutes from Madison, WI. I provide professional Wedding Photography locally, including Milwaukee, WI Dells, Chicago, and Destination Weddings around the world for couples with discriminating taste and an eye for artistic, modern natural light style. I believe your wedding day should be much more than just a ceremony, dinner and a dance. You should have fun, and incorporate ideas you enjoy into your day! I use this same philosophy for my High School Senior Portrait photography. I encourage the seniors to bring fun props and will go to your favorite location and also use creative lighting and multiple backgrounds in studio to give you the ultimate Senior Session. You may have seen my Sports Posters around Madison, Verona, Middleton, Sun Prairie, Stoughton, Belleville, Mt. Horeb and Oregon. Find out how your team can get one designed FREE! I really enjoy getting to know my clients and their needs. My Family Portraits will provide you with beautiful memories for years to come. I make it easy for you by having affordable framing options done here, in house with a variety to choose from. We have Designer Montages, Metal Murals, and many different albums and items available. I have also done commercial work for years including art direction, Head Shots and Events! !